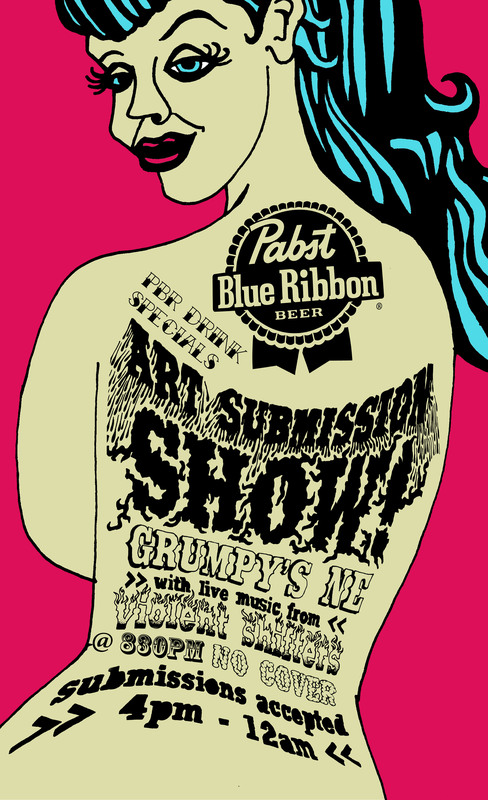 Bring some art and get a beer at Grumpy’s NE on July 16th. Live music from the Violent Shifters will put you in the mood. Curated by NUMB, this will be a fun night featuring art from Sinclair, Genuine and more great rockabilly related artists. This entry was written by pabsttc and posted on July 8, 2010 at 1:56 pm and filed under Uncategorized with tags Grumpy's NE, mpls, PBR, PBR Art Submission, Violent Shifters. Bookmark the permalink. Follow any comments here with the RSS feed for this post. Trackbacks are closed, but you can post a comment. Are you guys going to put up the pictures from the Dwarves show at Station 4 in St. Paul Minnesota? I was looking for a better spot to post this but I couldn’t find one. I blame my lack of glasses at the moment! Great beer great show!